In 1998, working through the law firm of Verner, Liipfert, Bernhard, McPherson & Hand, Washington, D.C., initially, and then directly for the Solid Waste Disposal Trust Fund, GBB provided an extensive analysis of the current and future costs to own and operate the Jurisdictions’ 975 TPD waste-to-energy plant, the quantity of waste that could be expected to “leak” from the Jurisdictions’ system, the competing facilities and their costs, and alternatives to control the waste and keep it in the system, including financial incentives to waste haulers, policy changes, negotiations with other sources of waste supply, and other means. In addition, GBB was requested to evaluate alternative revenue sources, such as direct generator charges and special assessments to fund project revenue shortfalls, and to evaluate closure of the waste-to-energy facility and contracting for transfer and disposal service, and the risks, costs, and needs associated with that action. Based on GBB’s strategic analysis and direction to the Jurisdictions, GBB was retained to provide continued assistance in negotiating new, medium-term contracts with selected major waste haulers. As a result, most of the waste that was starting to leave the facility for less expensive, competing alternatives has been retained. Other recommendations made by GBB are being implemented to bring financial stability and a predictable revenue stream to the Jurisdictions’ system anchored by the waste-to-energy facility. GBB acted as Project Manager for the Alexandria/Arlington Waste Disposal Trust Fund Trustees between 1998 and 2005. GBB was initially asked to help coordinate two revenue bond financings; one for refunding of initial Facility financing, and the second for equipment to meet the Clean Air Act requirements and other improvements to the Facility. GBB was also asked to monitor the expenditures made against the 1998 B Bonds for the improvements. Prepare Selected Sections of Solid Waste Management Plans for City of Alexandria and Arlington County, Virginia. Pursuit of NOV Letter for Removal from EPA Website. In 2004, the Trustees tasked GBB to develop the core documents of the jurisdictions’ individual comprehensive 20-year solid waste management plans for both the City of Alexandria and the County of Arlington. 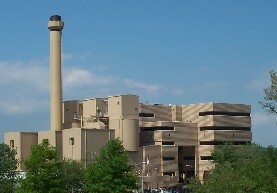 Every ten years, the Virginia Department of Environmental Quality (VA DEQ) requires local governments in Virginia to develop a comprehensive and integrated solid waste management plan that considers and addresses disposal and disposal options, tonnage projections, source reduction, recycling, landfilling, WTE and incineration options for the next 20 years. GBB prepared background research and data collection to document waste and recycling point sources and facilities, and to project the waste and recycling quantities. In addition, GBB developed documentation for each jurisdiction to use to address key policy issues. These efforts were part of each jurisdiction’s efforts to provide both the County and the City with a sound basis for projecting and managing solid waste disposal needs for the next 20 years.